Color copier, printer, fax, scanner. Purchase price $2,695.00 or lease for $81.00 per month. 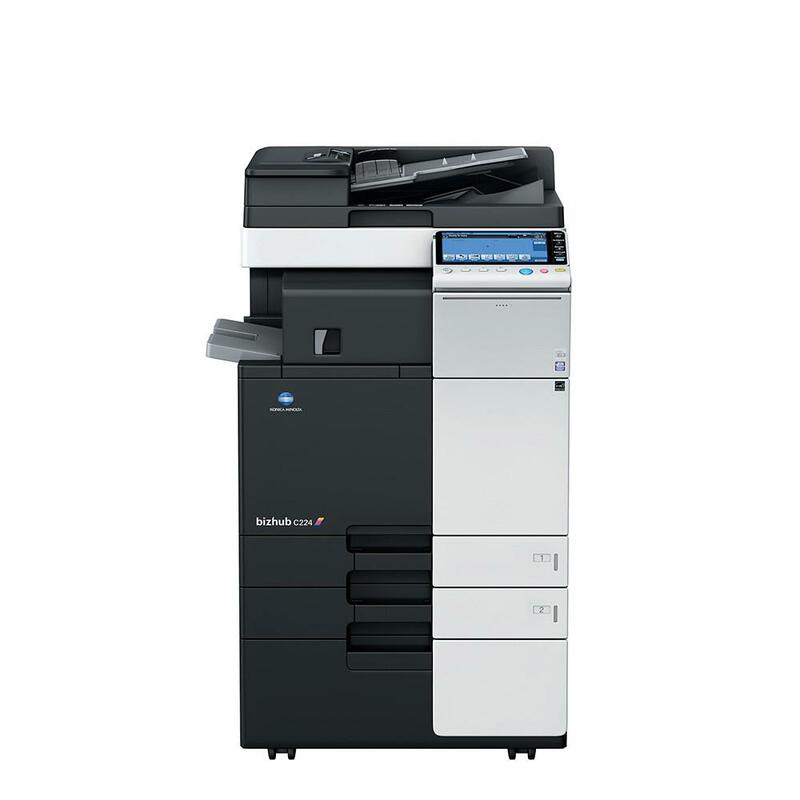 The Konica Minolta bizhub C224 delivers copying, scanning, and printing capabilities on one device. The true 1200 x 1200 dpi resolution delivers charts, graphs, photos and reports with sharp text and vivid colors. Keep up with fast paced office demands when letter size documents are being delivered at 22 ppm in color and black & white. Scanning to desktop or email at 80 pages per minute. The bizhub C224 was developed for mid-sized offices and their general office needs. The standard dual 500 sheet paper drawers will deliver paper sizes up to 11’ x 17’. The bizhub C224 100 sheet bypass tray will process envelopes, labels, letter head and regular paper. 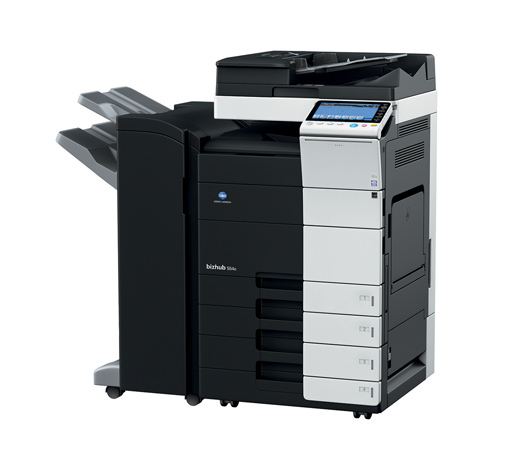 The Konica Minolta bizhub C284 delivers copying, scanning, and printing capabilities on one device. The true 1200 x 1200 dpi resolution delivers charts, graphs, photos and reports with sharp text and vivid colors. Keep up with fast paced office demands when letter size documents are being delivered at 28 ppm in color and black & white. Scanning to desktop or email at 80 pages per minute. The bizhub C284 was developed for mid-sized offices and their general office needs. The standard dual 500 sheet paper drawers will deliver paper sizes up to 11’ x 17’. The bizhub C284 100 sheet bypass tray will process envelopes, labels, letter head and regular paper. 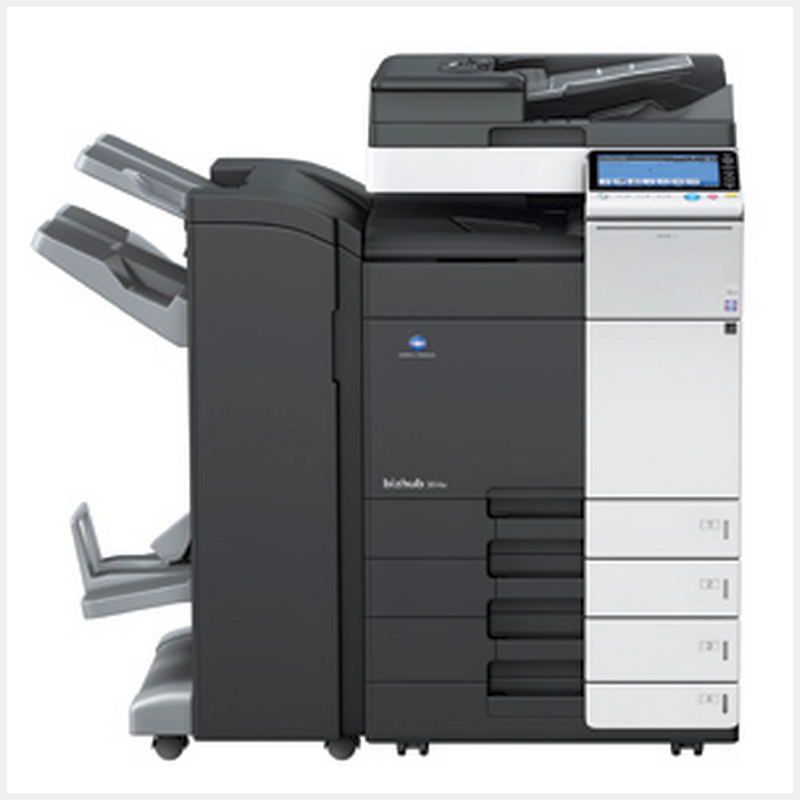 The Konica Minolta bizhub C364e delivers copying, scanning, and printing capabilities on one device. The true 1200 x 1200 dpi resolution delivers charts, graphs, photos and reports with sharp text and vivid colors. Keep up with fast paced office demands when letter size documents are being delivered at 36 ppm in color and black & white. Scanning to desktop or email at 80 pages per minute. The bizhub C364e was developed for mid-sized offices and their general office needs. The standard dual 500 sheet paper drawers will deliver paper sizes up to 11’ x 17’. The bizhub C364e 100 sheet bypass tray will process envelopes, labels, letter head and regular paper. 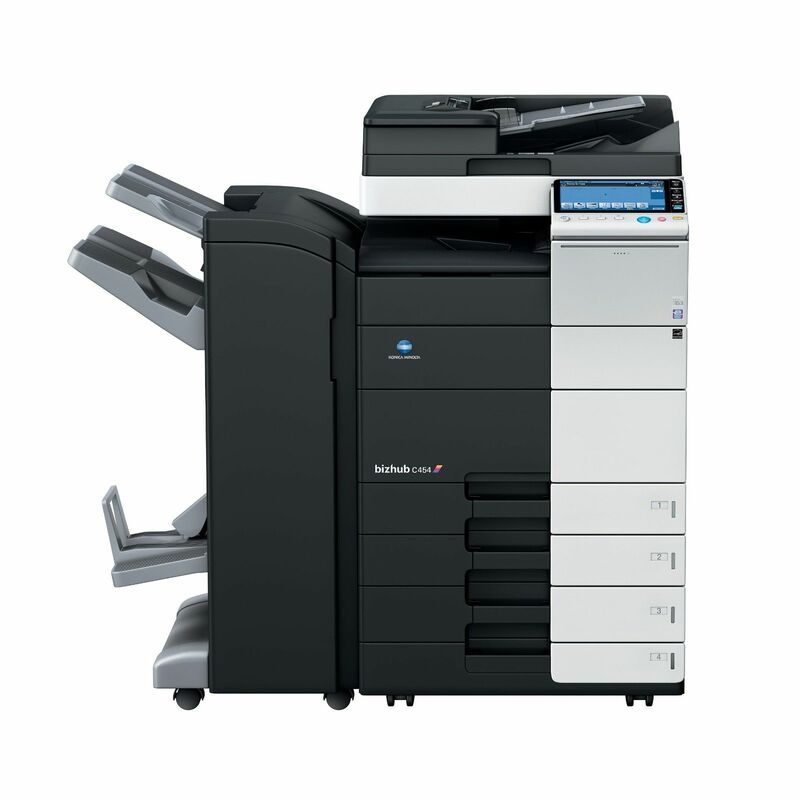 The Konica Minolta bizhub C454 delivers copying, scanning, and printing capabilities on one device. The true 1200 x 1200 dpi resolution delivers charts, graphs, photos and reports with sharp text and vivid colors. Keep up with fast paced office demands when letter size documents are being delivered at 45 ppm in color and black & white. Scanning to desktop or email at 80 pages per minute. The bizhub C454 was developed for mid-sized offices and their general office needs. The standard dual 500 sheet paper drawers will deliver paper sizes up to 11’ x 17’. The bizhub C224 100 sheet bypass tray will process envelopes, labels, letter head and regular paper. Black & White copier, printer, scanner, fax, standard document feeder, storage cabinet. Delivered, setup to print/scan on all computers. Includes, all parts, labor, toners, drums, developer. Times your estimate monthly copy volume by .013 cents per copy. 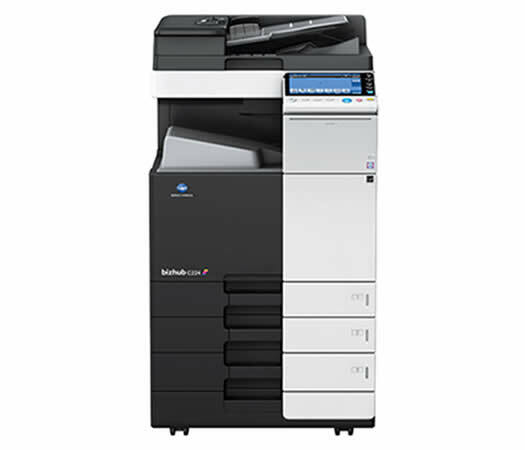 The Konica Minolta bizhub 224e delivers copying, scanning, and printing capabilities on one device. The true 1200 x 1200 dpi resolution. Keep up with fast paced office demands when letter size documents are being delivered at 22 ppm. Scanning to desktop or email at 80 pages per minute. The bizhub 224e was developed for mid-sized offices and their general office needs. The standard dual 500 sheet paper drawers will deliver paper sizes up to 11’ x 17’. The bizhub 224e 100 sheet bypass tray will process envelopes, labels, letter head and regular paper. 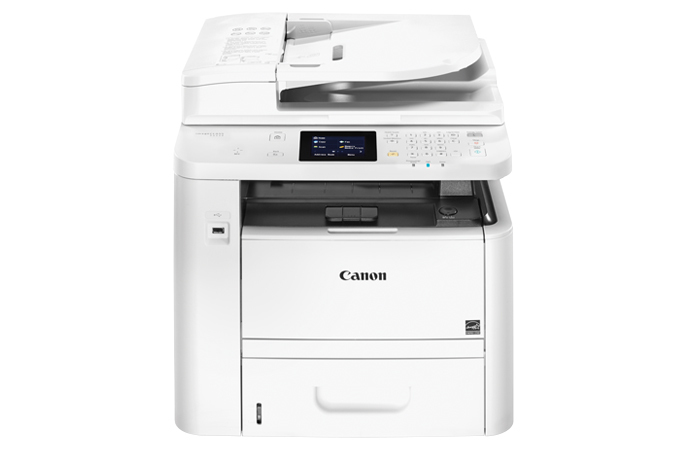 Black & White copier, printer, dual scanner, fax, standard document feeder, storage cabinet. 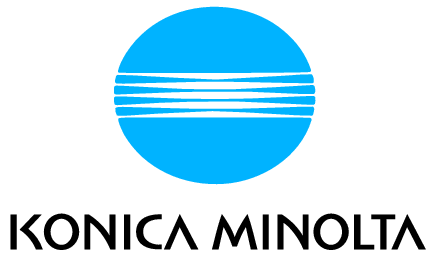 The Konica Minolta bizhub 284e delivers copying, scanning, and printing capabilities on one device. The true 1200 x 1200 dpi resolution. Keep up with fast paced office demands when letter size documents are being delivered at 28 ppm. Scanning to desktop or email at 80 pages per minute. The bizhub 284e was developed for mid-sized offices and their general office needs. The standard dual 500 sheet paper drawers will deliver paper sizes up to 11’ x 17’. The bizhub 284e 100 sheet bypass tray will process envelopes, labels, letter head and regular paper. 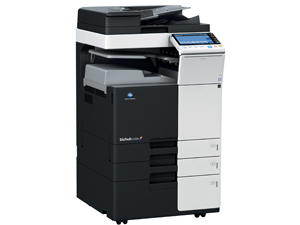 The Konica Minolta bizhub 364e delivers copying, scanning, and printing capabilities on one device. The true 1200 x 1200 dpi resolution. Keep up with fast paced office demands when letter size documents are being delivered at 36 ppm. Scanning to desktop or email at 80 pages per minute. The bizhub 364e was developed for mid-sized offices and their general office needs. The standard dual 500 sheet paper drawers will deliver paper sizes up to 11’ x 17’. The bizhub 364e 100 sheet bypass tray will process envelopes, labels, letter head and regular paper. 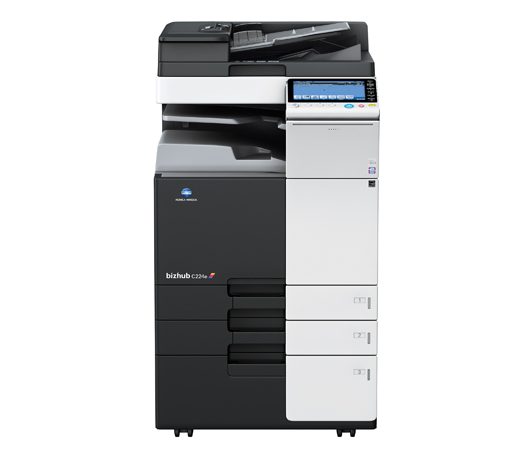 The Konica Minolta bizhub 454e delivers copying, scanning, and printing capabilities on one device. The true 1200 x 1200 dpi resolution. Keep up with fast paced office demands when letter size documents are being delivered at 45 ppm. Scanning to desktop or email at 80 pages per minute. The bizhub 454e was developed for mid-sized offices and their general office needs. The standard dual 500 sheet paper drawers will deliver paper sizes up to 11’ x 17’. The bizhub 454e 100 sheet bypass tray will process envelopes, labels, letter head and regular paper. Delivered, setup to print/scan on all computers, and demo. Times your estimate monthly copy volume by .01 cents per copy. Includes deliver, setup and full toner cartridge.